Check out 10 minutes of direct feed gameplay for the 8-bit action platformer. 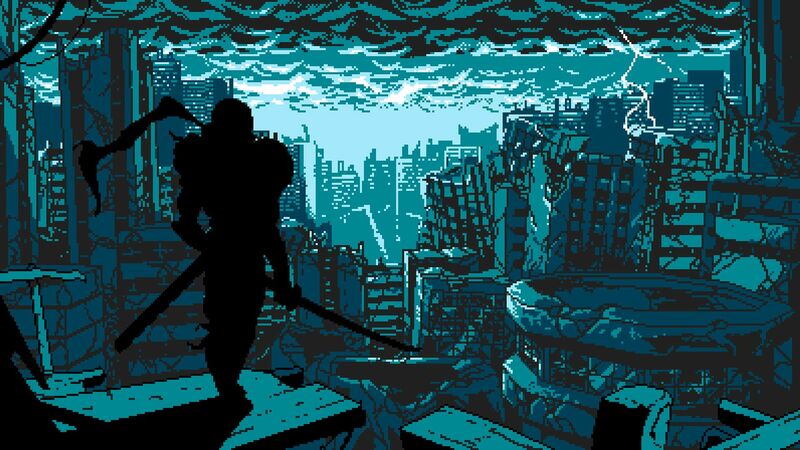 Before Gearbox Software got around to revealing Borderlands 3, Yacht Club Games announced the new game it was publishing: Cyber Shadow. It’s a 2D action platformer from Mechanical Head Studios that features a shinobi named Shadow fighting against a world overrun by machines. Thanks to Handsome Phantom on YouTube, some new direct feed gameplay has emerged from PAX East 2019. If you’ve played Shovel Knight from Yacht Club, then the essentials of Cyber Shadow will be familiar. Featuring a retro 8-bit presentation with a pulsing soundtrack, players will battle across Mekacity to save Shadow’s clan-mates. There are new skills to unlock and more than a dozen bosses to battle, along with secrets to discover. Cyber Shadow will retail for $14.99 when it releases for Xbox One, PS4, PC, and Nintendo Switch. Stay tuned for more details in the coming months. In the meantime, you can look forward to Yacht Club’s Shovel Knight Showdown, a fighting game featuring Shovel Knight’s colourful cast that’s out on April 9th.